Marshall, W.B. 1927. 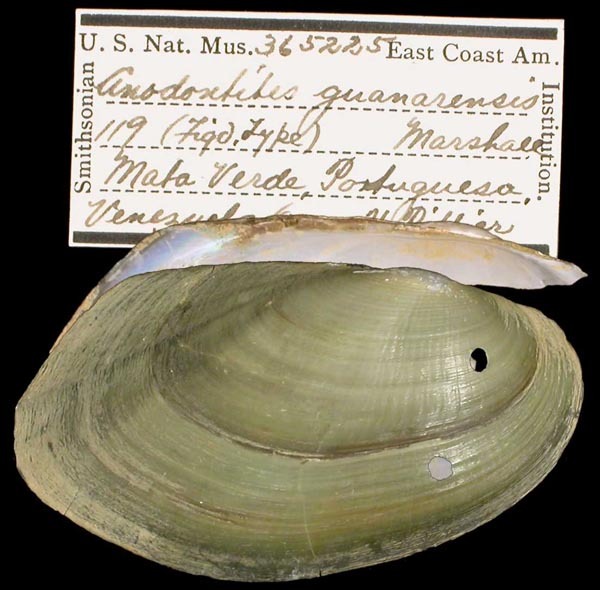 A new genus and two new species of South American fresh-water mussels. Proceedings of the United States National Museum 71(2678): 1-4 + 2 plates. Marshall, 1927, Proc. U.S. Nat. Mus. : 3, pl. 1, figs. 4-6. 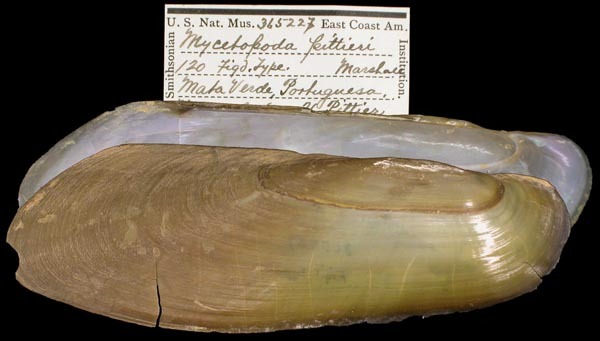 Type(s): HOLOTYPE USNM_365225, Mata Verde, Portuguesa, Venezuela. Marshall, 1927, Proc. U.S. Nat. Mus. : 4, pl. 2. Type(s): HOLOTYPE USNM_365227, Mata Verde, Portuguesa, Venezuela. Anodontites guanarensis Marshall, 1927. — Marshall (1927: 3). Mycetopoda pittieri Marshall, 1927. — Marshall (1927: 4). Mycetopodella falcata (Higgins, 1868). — Marshall (1927: 2).